Hello, and welcome to the fifth stop on my Piece of Cake Blog Tour. 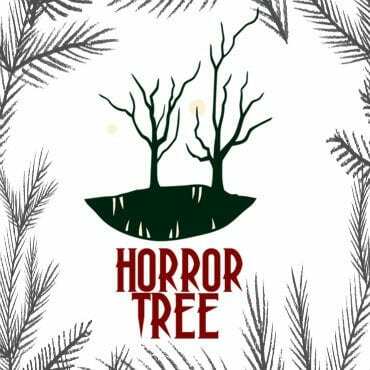 As a regular visitor to the Horror Tree, I’d like to thank Stuart, for giving me this platform to promote my debut novella, Cake, which was released on Monday. 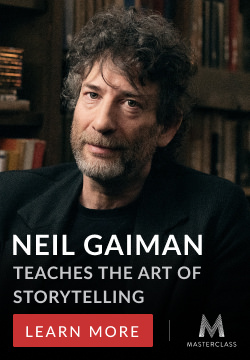 At each stop along this tour, I’ve asked my host to provide me with a topic to speak on, deftly weaving a subtle plug for the book into the narrative. Today, Stuart asked me to pen a few words on staying focussed whilst writing, which I was more than happy to…ooh, look! A squirrel! It’s a difficult to do, no question. I’ve wanted to be a professional writer for as long as I can remember; certainly as far back as 7 or 8 years old. Yet, here I am, over a decade and a half later, and I’ve only just released my first book, and a novella, no less! What happened to that young kid with fire in his belly, and why has it taken him becoming a middle-aged man to get something published? Well, as you may have guessed from the subject matter, it’s mostly because I am (or, rather, I was) an incredibly lax writer, more than happy to put off until tomorrow that which should really have been completed today. Sometimes this was justified – over those twenty-something years, I’ve moved house four times, got myself married, changed jobs a bunch of times, and had two kids. I’m sure even the most committed author would agree that taking a couple of days off following the arrival of your firstborn (or, indeed, your second) is perfectly acceptable. It only became a problem once the reasons for pushing the writing to one side became less easy to justify to myself. After all, it’s one thing to avoid your story for the night, when you’re out on a stag night, or perhaps taking your kids to see Guy Fawkes being burned in effigy; it’s quite another to do the same because there’s a Simpsons omnibus on the television, and you might not have seen all of the episodes. I’ve tightened up my game. These days I write for at least an hour – every…single…night. The word count doesn’t concern me too much, as I’m in this for quality, rather than quantity, but that time must be spent either writing, or editing. It works, too. Often I’ll extend that hour to two, or even three, only retiring for the night when my eyes get too heavy to pay attention to the words on the screen. In the last couple of years, I’ve written longer and harder than I have managed over the rest of my life, and it has paid dividends. I’ve penned just under one hundred stories, over half of which have been published in anthologies, magazines, and on websites around the world. Hell, one of them has been published in a Canadian textbook – that’s me, corrupting the youth of the world, one student at a time! I’ve also edited 13 horror anthologies over the last eighteen months, for Cruentus Libri Press. Granted, this was a decision that severely cut into my writing time, causing me to be somewhat less productive as a result, but I stand by it. In reading and editing the hundreds of stories submitted to the various books that I helmed has improved my skills as both an author and an editor of my own work, beyond all measure. That’s before you take into account my exposure to so many other writers, of whose work I would otherwise have been ignorant. This is all well and good, you may be thinking, but it doesn’t cut to the heart of the matter – where has my new-found focus sprung from? That’s an easy one to answer, as I simply cut myself off from anything resembling human contact. It sounds like a joke, but it’s the truth. My WiFi connection was the first to go, supplier of that triumvirate of distractions – Facebook, Twitter and writing blogs (sorry, Stuart). I always used to have my internet running in the background, excusing its presence, by labelling it a research tool, but that was only a half-truth. Of course it can be essential, but I have found it more productive to make such enquiries that I need to advance my story before I settle down for an evening’s writing, jotting my findings down on a notepad. This helps me to condense my research into something more manageable, which is also conducive to a tighter style of writing, and leaves less time to waste looking at amusing cats. Once the internet was out of the way, all I had to do was get rid of my family…no, wait. I mean, of course, that whilst I love my wife and kids beyond all measure, and they are the reason I write at all, I cannot write with other people around me, and I find it hard fathom those who can. You know that cliché of a wannabe writer tapping away at a laptop in their local Starbucks? I would end up beating a barista to death with a wooden stirrer for breathing too hard. I don’t have my own office in our house, and I want to spend as much time with my family as possible (just another of those daily juggling acts that the would-be writer has to account for). The solution was elegant in its simplicity – I waited for them to go to bed. It was a win-win situation – I get to be a good dad, and an attentive husband, plus I get to sort out my various administrative duties outside of my precious writing zone. That means that the hours I spent at my craft, post-midnight, could be dedicated to being the best writer I could be. Such a simple solution – no internet, no television and no company – and the word count just rocketed. So, I guess that’s my advice – cut yourself off from the outside world, and just get to writing. In fact, what are you even reading this for? You’ve had the tip, now go turn off your internet connection, shoo your loved ones out of the room (they’ll thank you for it later) and get to writing. Kevin G. Bufton is a thirty-something father, husband and horror writer, in that approximate order. He lives in Birkenhead, on the Wirral, with his wife and two kids. He has been writing horror fiction since January 2009, and has been published in magazines, anthologies and on websites, the world over. Cake marks his debut release as a solo author. Kevin hopes, one day, to be able to scare people for a living. In May of 2053, forty years following the Separation of Wirral from the mainland, there is but a handful of people who remember what life was like before. Geraldine Waters is one of the few. In a land ruled by gang law, and horrors beyond mortal imagination, Geraldine lives in a perpetual nightmare, from which she knows she will never wake. Her story is one of hatred and desperation, of living shadows and dying hopes. It is a story about cake.